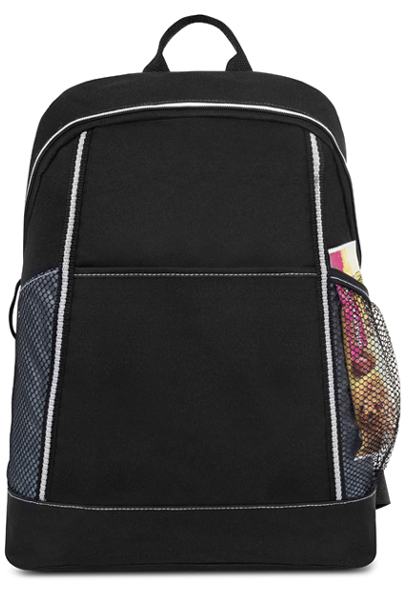 A Simplistic School Backpack for Attending Classes..
A Champion school backpack is ideal for the middle school age students for attending classes. 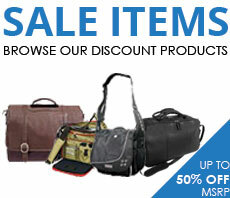 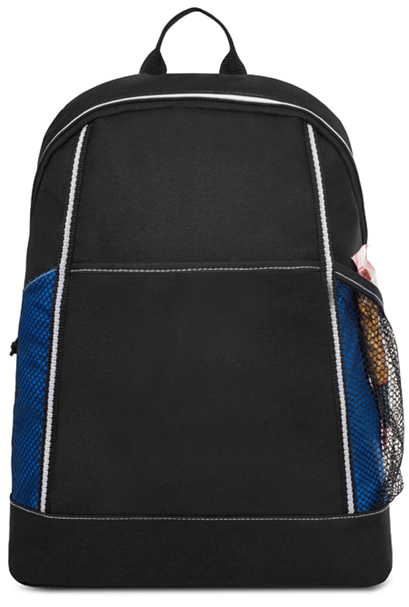 It's constructed from 600D polyester material with printed graphic accents on one side. 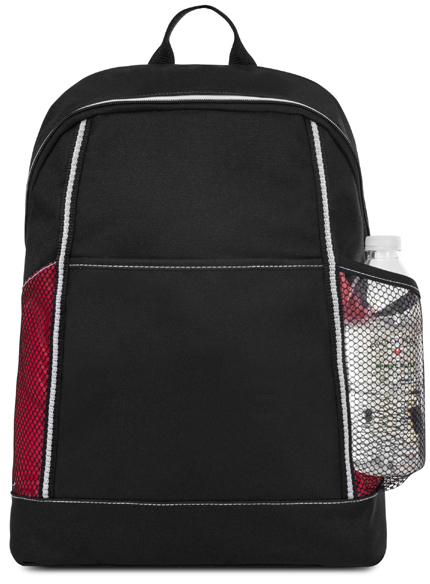 The spacious main compartment can accommodate books and folders while the front slash pocket can handle those small items and side mesh water bottle pocket will help keep you hydrated while walking the hallways going from class to class. 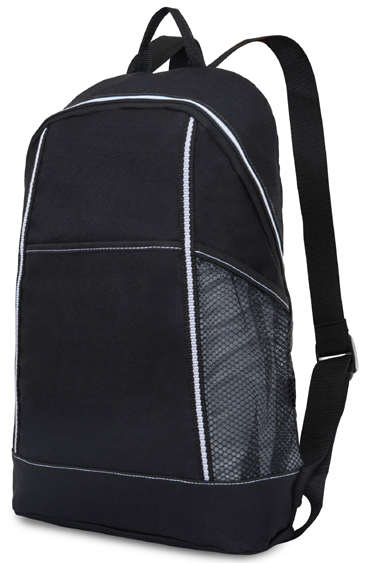 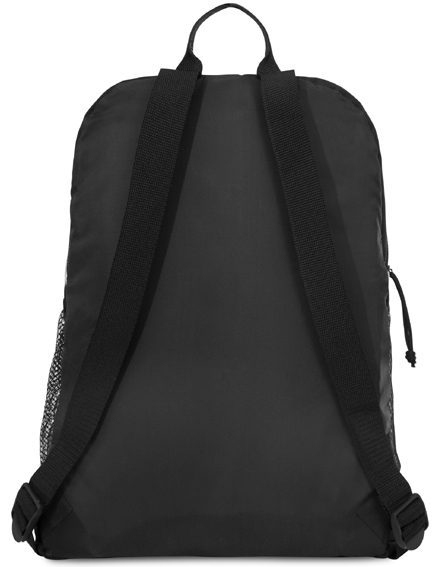 Located at the top is a grab handle and for transporting use the adjustable shoulder straps for carry comfort. 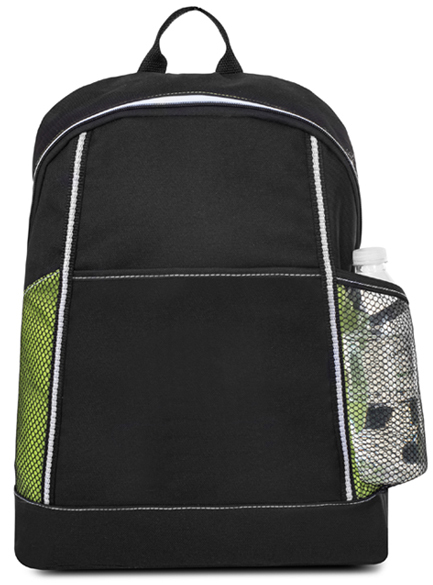 Available in black with 4 accent colors to choose from!